The program will be highly interactive and provides ample opportunities to share views and insights. We are busy finalizing the program. We are pleased to announce that the following persons have agreed to attend and share their views. 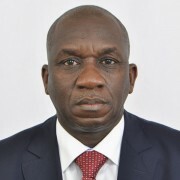 Abdoulaye Dagameissa is Manager of the Division for Environment & Sustainable Development in the Agriculture & Agro-Industry Department of the African Development Bank. (AfDB) His responsibility concerns the whole African continent. He works at the AfDB for almost 20 years. First as Forestry expert. Then he became Principal Forester in the division Natural Resources and Environment (OSAN.4). He has worked on climate change aspects in the AfDB coordination committee for climate change. 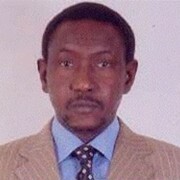 Abdoulaye Dagamaissa has a master degree in Forestry and Natural Resources from the university of Idaho in the US. 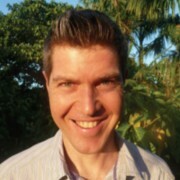 Adam Gibbon is Chief Technical Officer of Althelia and specialises in the design and development of REDD+ and sustainable agriculture projects and strategies that conserve biodiversity and promote sustainable livelihoods in the tropics and subtropics. 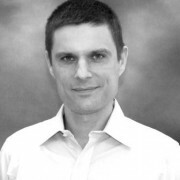 Adam has extensive experience with both sustainable agriculture and voluntary carbon market standards. He has contributed to the development of numerous standards including being a lead technical author of the Verified Carbon Standard’s Jurisdictional and Nested REDD (JNR) Initiative and a technical author of the Sustainable Agriculture Network’s Climate Module. He is a registered VCS Agriculture Forestry and Other Landuse expert as well as a VCS JNR expert. 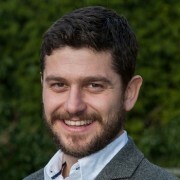 Adam has designed and developed a number of projects focused on sustainable commodity production (tea, coffee, cocoa) and the creation of economic value from ecosystem services that are maintained or improved. Before joining the Fund, Adam was a manager within PwC’s Sustainability and Climate Change team. In this team he worked with corporate and government clients on the design, sustainable financing, and monitoring of programs to improve land use practices, reduce deforestation and improve livelihoods. Prior to this, Adam was Technical Manager of Rainforest Alliance’s Climate Program. There he was responsible for leading and managing the technical aspects of Rainforest Alliance’s climate related activities across auditing, forestry and agriculture divisions. He was also a senior lead auditor on over 30 voluntary carbon standard engagements. Adam has a BSc in Natural Sciences from Durham University and an MSc in Environmental Change and Management from Oxford University. Dr. Ali Mahamadou has over 22 years of development experiences including, 3 years as Chief of Staff of Ministry of Environment and Sustainable Development, and 16 years as Lecturer/Researcher at University of Niamey (Niger). He also has served several years as consultant and senior program manager in international organizations. Mr. Ali, with his background of Agricultural Economic, developed competences in various sectors such as management of natural resources, food security, as well as project evaluation and gathered experience in critical analysis of development policies in Niger and Africa. Mr. Ali is familiar with major donors’ policies as EU, World Bank, USAID, DANIDA and others. Andrew Collins has extensive experience in structuring and completing emerging market investments and has been responsible for driving the expansion of Miro Forestry since inception. Prior to Miro, Andrew spent three years developing and financing biomass energy projects in Europe; which continue to be expanded by the assembled management teams. After business school, Andrew was a corporate finance investment banker with Panmure Gordon & Co. completing IPOs, secondary offerings, mergers and acquisitions in a broad range of sectors. Andrew holds a Masters in Engineering from the University of Bristol and a Masters in Finance from the Cranfield School of Management. 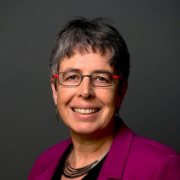 Camille has a background in financing mechanisms for the conservation of tropical forests, spanning private and public sectors, and is an expert in both forest certification and forest carbon policy and project development. She has been at the forefront of the rapidly growing sustainability arena of the land use and forestry sectors for more than a decade and has developed and managed successful operations across her native Africa, as well as in Latin America and Southeast Asia. Camille combines an undergraduate degree from Imperial College London and a Master’s Degree from Yale University’s School of Forestry with outstanding and varied field experience. Through early involvement with the United Nations Framework Convention on Climate Change, and the Government of Papua New Guinea, Camille pioneered the development of forest based carbon markets and associated accounting mechanisms for the climate change contribution of the forestry and land use sectors. 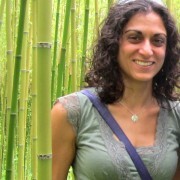 In 2010 Camille co-founded EcoPlanet Bamboo to address deforestation issues through providing the marketplace with a certified alternative fiber and sustainable commercial scale business solutions. The company’s plantations combine the restoration of highly degraded land with the provision of secure employment opportunities in some of the poorest parts of the planet. EcoPlanet Bamboo currently owns and operates bamboo plantations in Nicaragua, South Africa and Ghana. 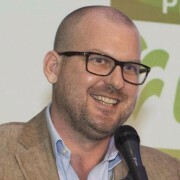 Chris Burchmore is the Africa Regional Director of the Forest Stewardship Council, a position he has held since June 2013. Chris has 20 years of professional experience in responsible plantation forestry management, environmental management practices in plantation forestry, forest certification, and community engagement. Prior to joining FSC, he managed the environmental team of a large multi-national plantation forestry company in South Africa, gaining experience of strategic planning, determining high conservation value areas, and technical and operational planning in forestry areas. Mr. Burchmore also facilitated the road-testing of the ‘Corporate Ecosystem Services Review’, an international project lead by the World Resources Institute. Chris has a growing knowledge of and interest in sustainability and business process issues relating to the optimization of land through a multiple land use approach. He has a Master’s degree in environmental management, and his work has exposed him to responsible forestry practices in Brazil, Tanzania, Uganda, the Republic of Congo, and various countries in Western Europe. Clément Chenost is a co-founder and investment director of the Moringa fund, a pioneer €84 m impact fund dedicated to profitable agroforestry projects with high environmental and social impacts located in Latin America and sub-Saharan Africa. He started his career in 2006 at the French Forestry Commission before joining the sustainable development team of Ernst & Young. There, he initiated and successfully implemented the forest certification activity of the firm. After that, Clément was head of business development at ONFI where he initiated the Moringa Fund with the Edmond de Rothschild group. Clément studied Biology at the Ecole Normale Supérieure. He has a Masters Degree in Ecology and Biology, an Executive Masters in Environmental Management (Mines & Agro ParisTech) and a private equity certificate from the Wharton School. Hon. Darlington S. Tuagben is Deputy Managing Director for Operations at the Forestry Development Authority. Before this he served as Chief Park Warden/Manager at the then proposed Lake Piso Multiple Sustainable Use Reserve in Grand Cape Mount and Bomi Counties, and later as the Natural Resources Management Specialist at USAID Liberia Office. Darlington Tuagben has over nine years of practical working experience in the fields of biodiversity, environment and natural resources management with in-depth knowledge of protected area management and community participation in sustainable natural resources management. He is passionate about helping organizations make the most of their resources and talent and helping individuals make the most of their career. He holds a BSc. degree in Natural Resources Management from the Kwame Nkrumah University of Science and Technology in Kumasi, Ghana and a MSc. in Conservation Biology from the University of Cape Town in South Africa. 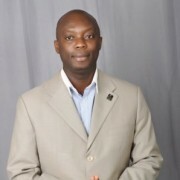 He is a member of several international professional bodies including the African Forest Forum, Tropical Biology Association, Earthwatch Institute, Society for Conservation Biology and currently the Co- Chairman of the Board of Directors of the Society for the Conservation of Nature in Liberia (SCNL). As Head of Timber, Esben Brandi leads Timberland investments at Quantum Global Alternative Investments, being responsible for the QG Africa Timber Fund, the largest private equity fund in Africa dedicated to timberland investments. The fund invests in sustainable Natural Forest, Greenfield Plantation, established Timber Plantation and Brownfield Plantation projects across Sub-Saharan Africa, serving the “last frontier” in timberland investments. 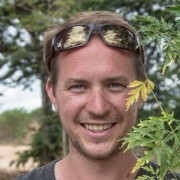 A Danish national, holder of a BSc and a MSc in Forestry with an interdisciplinary diploma in Tropical Land Use Management, Esben started his career as Associate Scientist at the World Agroforestry Center in Malawi and Uganda. Following a stint as International Coordinator at COWI, he joined the International Woodland Company as Senior Investment Manager, where he managed forest acquisition deal sourcing, due diligence and direct investments with focus on Africa and tropical Latin America. Mr. Finn T. Jacobsen is a graduate of the University of St. Gallen in Switzerland and his whole career has been dedicated to the forest industry with emphasis on the pulp and paper segments. During the last 20 years he has been active in Ghana and since 2007, together with Mr. Erling Lorentzen, he has developed a plantation and power project in the Brong Ahafo Region of Ghana. Gerhard Engel (1959) is Senior Investment Officer within FMO’s Energy Department looking after renewable energy- and climate change projects in North-/North West Africa and Asia. Since 1997 he has been instrumental in developing investment strategies in the financial-/housing finance sector. Prior to FMO he was working for Deutsche Bank in various positions in Germany and The Netherlands. Gerhard has studied economics and banking at Bankakademie in Frankfurt. 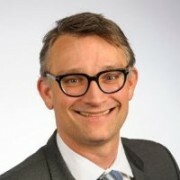 Giuseppe van der Helm has been the director of the VBDO, the Association of Investors for Sustainable Development in The Netherlands, from November 2006 to December 2015. 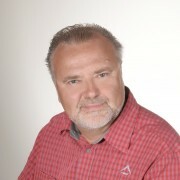 He has been President of Eurosif from July 1, 2009 until December 2015. In 2002 Giuseppe decided to leave the world of commerce and dedicate his energy to build a better world. After a sabbatical in which he travelled the world studied Theology at the University of Tilburg. He taught Philosophy of Life, was a member of the Stakeholder Council of GRI. 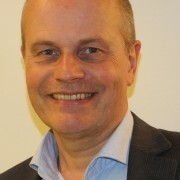 Currently he is a member of the Advisory Councils on sustainability of telecom company KPN and SNS Bank. Currently Giuseppe is assessing where he can best fulfil his objective of bringing people together to join forces in realising sustainable idea(l)s.
Previously I worked as an Assistant Director of Beekeeping Development, promoting best practice and investments in beekeeping; Assistant Coordinator of National Forest and beekeeping Programme responsible to initiate, develop, monitor and review implementation of National Forest and Beekeeping programme and Incharge of Forest and Beekeeping training and research of the Forest and Beekeeping Division responsible for coordinate preparation of forest and beekeeping training and research plans, interpret and enforce training policy and regulations. Also I have been an instructor for Beekeeping Training Institute in Tanzania. I’m/have been member of Ministerial Advisory Boards for various Institutions in Tanzania including Tanzania Forest Services Agency, Forest Training Institute Arusha and Tanzania Tree Seed Agency. My specializations are Wildlife Ecology, Zoology and Beekeeping. I have MSc degree in Management of Natural Resources, Bsc General specialized in Wildlife Ecology and zoology, Diploma in Beekeeping and certificates for various short courses including Strategic Management for Development Programme from African Institute of Management Science Accra Ghana; Certificate in project formulation and management from university of Dar es Salaam; Certificate in Forestry management from The Royal Veterinary and Agricultural University Copenhagen Denmark. Hanna Skelly, Associate Director at Finnfund Ltd, leads an investment team specialised in forestry, renewable energy, energy efficiency and clean technologies with business development responsibilities including origination and structuring. In addition, she is responsible for the management of a dedicated portfolio of non-investment-grade emerging market investments (equity, mezzanine and loan). She has over 10 years of experience in emerging markets and the forestry and forest industry sectors. Prior to joining Finnfund, she was based in Singapore as a senior consultant with Pöyry Forest Industry Consulting, the leading global forest industry consulting company, and with Nordea Bank’s Singapore office project finance team. Mr Hans Lemm is the CEO of the Kilombero Valley Teak Company (‘KVTC’), Africa’s largest private teak plantation. Aside of his role at KVTC Mr Lemm is a Director of Cape Pine Investment Holdings in South Africa and works with the Global Environment Fund’s forestry team on investment due diligence in East Africa. Mr Lemm also serves on the Advisory Board of the Forest Development Trust in Tanzania. Since 2002 Mr Lemm has worked in a variety of roles in the East African forestry sector and has built up extensive experience and network across the region. Hugh Brown is the Director of Operations responsible for forest plantations at the Forestry Commission, Ghana. Hugh has over 22 years work experience in tropical forest management, protection and development. Over the past 12 years he has been coordinating the National Forest Plantation Development Programme, which has so far established over 180,000 hectare of forest plantations by the Forestry Commission, communities and the private sector mainly within degraded forest reserves across Ghana. He has piloted forest restoration through enrichment planting with indigenous timber species within selected degraded forest reserves in the High Forest Zone. Hugh has extensive experience in developing and appraising reforestation plans for commercial forest plantation development. He specializes in financial appraisal of forest plantation projects and valuation of forest plantations. He is a Certified Forester (Society of American Foresters), and a member of the Ghana Institute of Foresters and the Society of Ecological Restoration International. 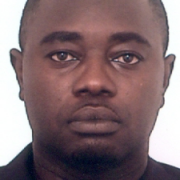 He currently represents Africa on the steering committee of TEAKNET, an international teak information network. He holds a BSc. in Renewable Natural Resources Management and an M.B.A, (Kwame Nkrumah University of Science and Technology, Ghana) and a Master of Forestry (Yale University, U.S.A.). Jan Bock is member of the International Forest Policy team at GIZ (Deutsche Gesellschaft fuer Internationale Zusammenarbeit) on behalf of BMZ, Germany’s Federal Ministry for Economic Cooperation and Development. He has got a Master’s Degree in Forest Sciences and Environmental Education and has been working for more than 10 years for GIZ, DANIDA and IICA on the promotion of sustainable forestry and agroforestry value chains mainly across Latin America. 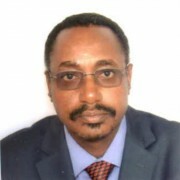 The current focus of his work is on Private Sector Cooperation and Forest Financing. 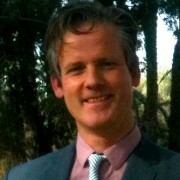 Jan Willem den Besten holds an MSc in Forest and Nature Conservation Policy at Wageningen University. He lived in India for 15 years and worked on sustainable development and human rights programs. In 2009 he joined IUCN in Washington DC and worked on the development of Pro-Poor REDD+ frameworks in Guatemala, Ghana, Cameroon and Indonesia. He also worked with The Forests Dialogue in Newhaven on the roll out of international dialogues on REDD+ finance, REDD+ readiness and Free, Prior and Informed Consent. In 2012 he returned to the Netherlands and joined IUCN NL. As the lead of IUCN NL’s climate work, Jan Willem focuses on the financing of ecosystem-based climate mitigation and adaptation interventions in developing countries. He works closely with the Dutch Ministries of Foreign and Economic Affairs and has helped set up the Platform BEE REDD+ Business Initiative and the Dutch Agro-Water Climate Alliance. In his free time, Jan Willem enjoys classical music, studies bird migration, photographs birds and works on a Phd focusing on the role that local actors play in the development of global REDD+ governance. Jim Heyes joined GEF in 2007 and focuses on GEF’s timber investment activities. Based in South Africa, he is responsible for environmental, social, and governance matters in GEF’s forestry portfolio, as well as portfolio company monitoring, investment strategy, and value creation. Prior to joining GEF, Mr. Heyes worked for the New England Forestry Foundation, where he founded and directed a community-based forestry and economic development initiative known as North Quabbin Woods. He also worked for two years at Heyes Forest Products, his family’s sawmill in western Massachusetts. Mr. Heyes, a CFA Charter Holder, has a BA in Geology and Environmental Studies from Williams College and a Master of Public Affairs at Princeton University’s Woodrow Wilson School. He studied community-based forestry in the Philippines as a Fulbright Scholar. Dr. Joe Cobbinah has PhD from University of Adelaide in South Australia. He rose through the ranks from Research Entomologists to Chief Research Entomologist from 1979 to 1990. 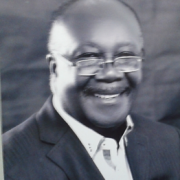 In 1997, he became the Director of the Forestry Research Institute of Ghana (FORIG). Under his leadership FORIG grew to be globally recognised as one of the leading national forest research Institutes in the tropics and simultaneously provided valuable leadership and insight to the forestry industry in Ghana. His International reputation attracted valuable research funding for work at FORIG. Dr. Cobbinah received IUFRO distinguished service Award in 2012 and lives in Kumasi, Ghana with his wife Hathia and two grand children. 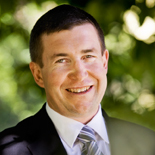 Johann Thaler holds a diploma in environmental economics and environmental management. He has experience of over eight years in auditing carbon projects. 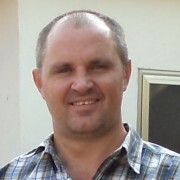 Johann is based in Germany and currently Gold Standard’s Senior Certification Officer for Africa. He is the first point of contact for all Africa related issues and is responsible for technical reviews of African projects submitted to the Gold Standard for certification. Besides, he takes part in the further development of the Gold Standard rules and procedures, developing sustainability assessment tools and tools for cook stove projects, new GS methodologies and is involved in capacity building activities for project developers and accredited auditors. Johann has been also contributed to the development of the Fairtrade Climate Standard. Johann was living for 10 years in the Atlantic rain forest in Brazil, where he practiced agroforestry and permaculture. H.E. 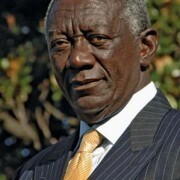 John Agyekum Kufuor was appointed as UN Special Envoy on Climate Change on 23 December 2013. 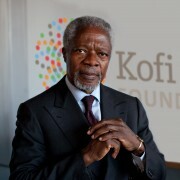 He was the President of the Republic of Ghana from 2001–2009. He chaired the Economic Community of West African States in both 2003 and 2007 and guided successful negotiations that brought peace and major post-war reconstruction to Sierra Leona, Côte d’Ivoire and Liberia. From 2007-2008, he chaired the African Union during which he supervised the peaceful resolution of the conflict in Kenya. In 2011, recognized for his personal commitment and visionary leadership while serving as the President of Ghana, and in particular for creating and implementing government policies to alleviate hunger and poverty in his country, he was named the joint winner of the World Food Prize with former Brazilian President Lula da Silva. Mr. Juma Shabani Mgoo is CEO of the Tanzania Forest Services Agency. Kyösti Pietola serves as a Senior Sector Economist with specialization in the Agro-Food and Forestry Sectors, in European Investment Bank (EIB). 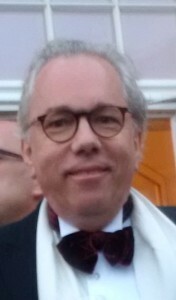 Prior to joining in the EIB in 2012, Pietola served as the professor in economics and director of MTT Economic Research, currently Natural Resources Institute Finland. He is an adjunct professor at University of Helsinki and, until appointed to the EIB, he was vice chairman in the Board of Agricultural Development Fund of Finland. 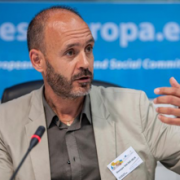 He served in the Board of European Association of Agricultural Economists (EAAE) and in the Board of European Agricultural and Applied Economics Publications Foundation (EAAEP) in 2008-2014. 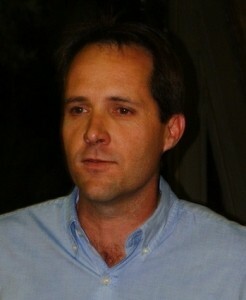 Pietola received Ph.D. in agricultural economics at Michigan State University in 1997. He holds a master degree from the University of Helsinki in agricultural economics, with fields in forest management, agricultural policy, and crop science. 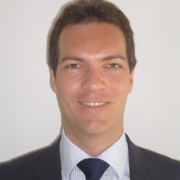 Pietola has extensive experience in consultancy services for the private sector and different policy evaluations, e.g. for the EU Commission and the OECD. 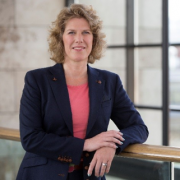 Linda Broekhuizen was appointed as Chief Investment Officer of FMO in 2014. With an investment portfolio of over EUR 8 billion, FMO is one of the largest bilateral private sector development banks worldwide. FMO creates access to a full range of high impact financial products and services to private sector enterprises in developing markets with a focus on financial institutions, energy, agribusiness and private equity. Through FMO Investment Management we offer institutional investors access to FMO’s expertise in responsible emerging market investing. Linda Broekhuizen started her career at Fortis Bank in the Financial Institutions team for Latin America. In 2000 she started working at FMO as an Investment Officer and after that she worked in a variety of management positions, these include Financial Institutions, Agribusiness and Sustainability. Linda Broekhuizen has a Master Degree in International Relations and in Business Administration. In 2010 she finalized a postgraduate program on Corporate Social Responsibility Management. She is member of the Supervisory Board of the Netherlands Council for Trade promotion (NCH). 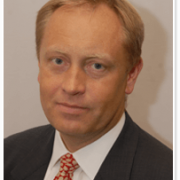 Mads Asprem – CEO, Green Resources AS, Norwegian, Born 1961, BSc in Economics Wharton School, USA, 1983, MBA, Univ. of Chicago, USA, 1987. 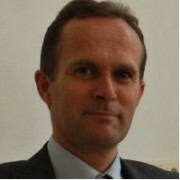 Mads established Green Resources in 1995 and took over as Managing Director in 2006. Prior to Green Resources his positions were: first VP, equity analyst and head of the global forest products and paper research team at Merrill Lynch 2000-2005. Managing Director and head of forest products and paper global research team of Morgan Stanley 1991-2000. Equity analyst CSFB 1990-91. Consultant Monitor Company 1987-1989. Portfolio manager Storebrand 1984-1985. Met as substitute member to the Norwegian Parliament. Magchiel Groot has over 20 years experience in corporate banking, project and structured finance as well as private equity. 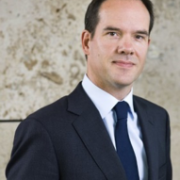 He started his banking career in 1993 working for Deutsche Bank both in Amsterdam and London. He joined the Netherlands Development Finance Company (FMO) in 1998 during which he was seconded to the Emerging Africa Infrastructure Fund at Standard Bank in London between 2002 and 2005. After a two year period focusing on China when back at FMO, he then lead the desk that originated, structured and executed all structured finance transactions within FMO with a view to further developing FMO’s capital markets activities in emerging markets. Since 2012 he is working as a Senior Investment Officer at FMO’s Private Equity Department with a focus on Africa. 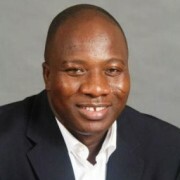 Honorable Mahama Ayariga is the Minister of Environment, Science, Technology and Innovation of the Republic of Ghana. He is the Member of Parliament for Bawku Central in the Upper East Region of Ghana. He previously served as the Minister of Youth and Sports, Deputy Minister of Trade and Industry and as the Spokesperson of the Late President John Evans Atta Mills. A Lawyer by profession, Hon. Ayariga obtained his professional law certificate from the Ghana School of Law. He later pursued an advanced law degree at the Harvard Law School in Cambridge, USA. Hon. Ayariga started his career as a Teaching Assistant in Natural Resources Law and International Law at the Faculty of Law, University of Ghana. He also served as Executive Director of the Legal Resources Centre (LRC), an organization that promotes human rights, community development and social justice. He is a Founding member and principally responsible for policy formulation, and the design and implementation of projects for Legal Resources Centre (LRC) a community- based resource centre that provides civic education, Legal aid, research and advocacy on human rights and development issues. 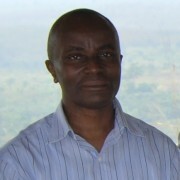 Mamadou Sangaré is Director General of SODEFOR. Before assuming this position he has been member of the national agricultural program (Programme National Indicatif Agricole 2010-2015 (PNIA-CI Forêt)) and before this he was technical advisor for planning, research and innovation for SODEFOR. His long employment at SODEFOR includes positions as Manager of the IT department and cartography and director of planning and project management as well responsible for projects aimed at the protection of forests. 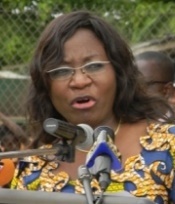 Marie-Laure Akin-Olugbade is the Resident Representative of the African Development Bank to Ghana. Until her appointment in 2010, she was Manager, Financial Technical Services at the African Development Bank where she oversaw new product development, financial innovation and risk management services. She advised several clients in low and middle income countries on project structuring, financing and risk management across a wide range of sectors and instruments. She also had primary responsibility for debt issuance in African debt capital markets and developed local currency structuring capabilities in African currencies to fund transactions and promote development of African capital markets. She led the team that authored the African Fixed Income and Derivatives Guidebook published in May 2010. She spent the earlier years of her career as a money market and fixed income portfolio manager in international capital markets. Ms Akin-Olugbade is a graduate of Université Paris Dauphine, France and Université Panthéon-Sorbonne, France with degrees in Applied Economics and Management. Maximin Djondo is the Director of Benin Environment and Education Society (BEES NGO), and National Coordinator ProEnvironment, the Benin national platform of NGO working for environment conservation and biodiversity protection. I has spent the past 15 years working to promote economic viability, social equity, and environmental health in the West Africa region with a particular focus on forestry. I also has expertise ecosystem services valuation and natural resources management with knowledgeable in applied biology, and natural resources management. Maximin developed an interest in conservation due to his lifelong hobbies and have worked in nature conservation roles for different organisations and in a variety of roles and habitats in order to gain experience of nature conservation work. As BEES’s director, he works to conducts and promotes research and provides policy support on issues related to forests. He helps develop initiative to enhance the lives of forest-dependent communities and identify alternative profits from non-timber resources. He also also advocates for forest research and the use of scientifically sound information as a basis for policy-making on forests. BEES is IUCN member, observer for the Green Climate Funds and have a special consultative status with ECOSOC, The Economic and Social Council of the UN. Nana Dasebere Dr. Amankona Diawuo II, Studied Medicine and Graduated as a Surgical Specialist In Germany. After practicing Medicine in Germany for some time. He decided it is time to return to Ghana and bring his acquired skill home and to assist with training of others. During this time he occupied several senior positions such as Head of Surgical Department at several hospitals as well as Acting Hospital Director at Central Regional Hospital, Cape Coast. Nana Dasebere Dr. Amankona Diawuo II, has been practicing as surgeon for 40 years and still has a lot to offer the profession, specifically with training young surgeons. 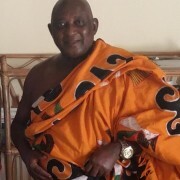 In 2001, Nana Dasebere Dr. Amankona Diawuo II, was installed as Omanhene of Berekum Traditional Area. His focus in this role is the upliftment of his people and the development of the Berekum Traditional Area. Nii Osah Mills was appointed as Hon. 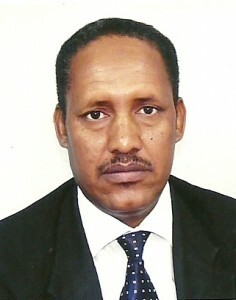 Minister of Lands and Natural Resources in July 2014. 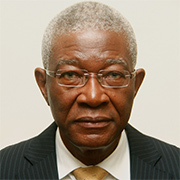 He is a former Member of the General Legal Council and Judicial Council of Ghana. He also served as a Member of the Lands Commission of Ghana from 2008. Nii Osah Mills is a seasoned lawyer, who has been in private practice for more than 30 years. Over the period he has held various positions in the Ghana Bar Association, including being the President, Chairman and Member/Secretary of the Continuing Legal Education Committee. Paul Hol is CEO of Sustainable Forestry Investments (SFI) with investments in large scale agro-forestry companies such as Form Ghana Ltd and SFI Tanzania Ltd. 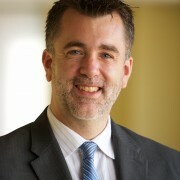 He is founder/owner and Executive Director of Form international (1993). Paul has extensive international experience as a senior forestry advisor and is specialized in Sustainable Forest Management, reforestation and forest certification. Ms Pauliina Halonen, Investment Manager at Finnfund, is specialized in forestry related investments and belongs to Forestry, Environment and Renewable Energy -team. She has worked in development finance for 10 years of which past five years focusing on forestry related investments including e.g. plantations, sawmills and other processing facilities mainly in Africa and Asia. She holds Masters Degrees in Finance (M.Sc. in Economics and Business Administration) and Development Studies (M.Soc.Sc.). Petri Lehtonen, Deputy Managing Director and Senior Partner of Indufor Oy in Helsinki – Finland. Mr. Lehtonen holds M.Sc. in forest economics from the University of Helsinki (1988) and MBA from the Helsinki International School of Economics (2003). 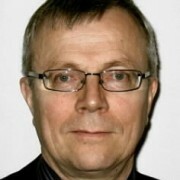 Prior joining Indufor in 1992, he has worked in the Food and Agricultural Organization of the United Nations, University of Helsinki and the Finnish Forest Research Institute. Mr. Lehtonen has solid background in forestry investment especially in emerging countries covering economic, financial and social analysis, risk assessment and overall strategic advice. He has been a team leader and advisor focusing on tropical forest plantations as well as boreal, temperate and tropical natural forests. The clients comprise forest industry corporations, forest funds, credit institutions, development banks, government institutions and international organizations. His country experience covers Northern and Central Europe, Latin America (Argentina, Brazil, Colom-bia, Costa Rica, Ecuador, Mexico, Nicaragua, and Uruguay), Southeast Asia (Bhutan, China, Indone-sia, Laos, Malaysia, Myanmar, Nepal, Philippines, Thailand, Vietnam) as well as Africa (Congo DCR, Ghana, Kenya, Mozambique, Somalia, South Africa, Tanzania, Zanzibar). He has lived long term periods (over one year),in addition to Finland, in Brazil, Vietnam, East Africa and Canada. Reina Buijs, Deputy Director General for International Cooperation at the Ministry of Foreign Affairs in the Netherlands. Reina worked as public nutritionist in Nicaragua, Zimbabwe and Ecuador (1986 – 2000). Her career at the ministry of Foreign Affairs in the Netherlands started in 2001 as policy advisor health and nutrition. 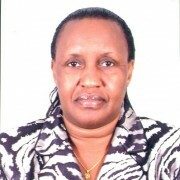 Between 2003 and 2011 she led the Division for Health and HIV/Aids and was responsible for the policy on sexual and reproductive health and rights. She served as His Majesty’s Ambassador in Nicaragua (2011 – 2013). She has a broad experience at country level, at headquarters and in working with many different partners of the United Nations, NGO’s and the private sector. Richard Mcnally has 18 years of experience in managing and coordinating projects in the field of Sustainable Land Management, primarily in Asia as well as in Africa. He has specific expertise in REDD+, Payment for Ecological Services, Carbon Finance, Agricultural Development, Forest Protection and Management, Climate Change and Green Growth. Richard is responsible for developing SNVs REDD+ strategy and coordinating SNV’s REDD+ project portfolio across Asia and Africa. This includes managing the SNV REDD+, Energy and Agriculture Program, which aims to advance understanding of the relationship between forests and other land uses in order to support low emission, pro-poor development pathways. Since January 2015 Richard has been leading the development of SNV’s Climate Smart Agriculture and Energy programs. This program integrates earlier work and focuses on three thematic areas: Climate Smart Landscapes, Deforestation-Free Supply Chains and Evergreen Farms. Richard has also worked as a consultant for the World Bank Forest Carbon Partnership Facility and was WWF Program Manager in Vietnam. He also spent two years working for the UK Government Department for International Development. Richard has a BSc in Mathematics and Master Degrees in both Development studies and Ecological Economics. He has authored over 40 papers on the topics of environmental economics, sustainable forestry and international development. Roeland Lelieveld is the founder of Africa Wood Grow (AWG), based in Kenya, Kitui county, Lower Yatta plateau. Lelieveld is passionate about taking concrete, practical action in developing sustainable environments, so that communities can live in true harmony with nature. After 5 years of research, he founded this innovative forestry company, in close cooperation with his Kenyan businesspartner Daniel Muvali. Meanwhile, nearly 16,000 trees have been planted and 320,000 m2 of land restored. The area that they develop with sustainable forestry in combination with food production (agroforestry), was totally deforested and exhausted. The positive effect of the restorative business model on the environment is huge. It provides employment, biodiversity is attracted and increasing social cohesion within the local community. They produce food between the timber trees in a system called agro-forestry. Lelieveld is awarded with the Simon Jelsma Award from Oxfam Novib and he was one of the Young Dutch sustainability entrepreneurs in 2013.“Lelieveld has proved that you can be successful in Africa” said the Dutch Minister Ploumen at the Africa Works conference. 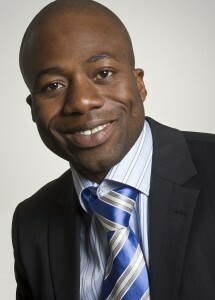 He was chosen as an example to motivate potential investors to invest in Africa, through the Dutch government programs. 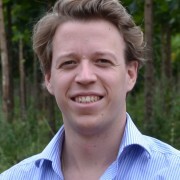 In 2014 he founded the Forest Market foundation based in The Hague and started a program to involve the surrounding farmers. At the moment his work stretched over a area of 600km2 al to become forest for a resilient future. Mr. Sam Afari Dartey is a forester with over 20 years working experience in the forestry sector. 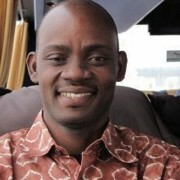 He is currently the Chief Executive of the Forestry Commission (FC), Ghana, a position he has held since October 2009. Sam initially joined the Forestry Commission in May 1996. Prior to joining the FC, he worked at the Silvicultural Department of the Subri Industrial Plantation Ltd., which was establishing industrial Gmelina plantations for pulp and paper production in the country. He joined Samartex Timber & Plywood Co. Ltd. in May 1997 and worked for a period of over 11 years holding several management positions, which included Agroforestry Manager, Forest Planning Manager, Human Resource and Public Relations Manager and finally the General Manager. 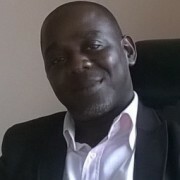 He is a member of the Ghana Institute of Foresters and the Institute of Human Resource Management Practitioners. He holds an MSc. In Tropical Forestry (Policy and Economics) from the Technological University of Dresden, Germany. Sam is an entrepreneur and has investments in the ecotourism and real estate sectors. He is passionate about landscape restoration, forest and wildlife conservation and a strong advocate for developing green business models around natural resources to fund their sustainable management and conservation. Stanley Anyetei is the founder of RoundCircle Strategist, an impact investment advisory firm that develops and implements innovative solutions for both investors and entrepreneurs dedicated to responsible business. Stanley spent more than 10 years in banking space at Investec Bank advising organizations, on a variety of strategic and financing initiatives with particular emphasis on investment structuring and product development. In the last 5 years, Stanley has been working with impact-investors develop risk mitigating strategies while investing in the sector. Stanley holds an MBA from TIAS Business School, a Corporate Social Responsibility Program from Georgetown University, USA, a Masters in Finance Management. 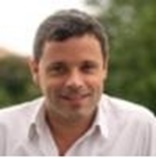 Stanley is also a business coach and is a visiting lecturer at TIAS Business School and Maastricht School of Entrepreneurship Economics. Founder & CEO, Komaza: Recognizing Africa’s booming industrial wood deficits and shortage of large-scale land, Tevis is committed to unlocking the potential of millions of small farmers to grow commercial tree farms. He has spent the last decade building Komaza, a vertically-integrated “micro-forestry” company that has so far planted 2 million trees with over 6,000 farmers. Today, Komaza is building the scalable platform to rapidly accelerate across East & West Africa. Tevis has won support from leading foundations and investors, was recently profiled by Fast Company, and was named on the Forbes 30-under-30 list. 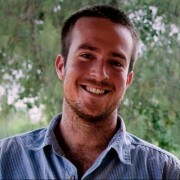 Prior to forestry, Tevis holds a Neuroscience degree from Brown University and developed a novel methodology to screen malaria immune responses in Kenya. Tim Fleming is Senior Investment Manager with IWC, responsible for the oversight of direct investments in Cambodia and Uganda as well as selected fund investments in Oceania. Tim has a Masters of Applied Science Degree in Agroforestry from Lincoln University in New Zealand and has worked in forestry management and investment for over 18 years. He has a wide range of experience across several forest projects in Oceania, Asia and Africa. 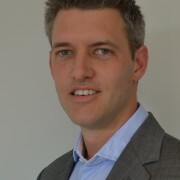 Tobias Dorenkamp is Vice President at DEG’s Equity and Mezzanine team. Tobias is responsible for sourcing, structuring and managing equity and mezzanine investments as well as investments in private equity funds primarily in Latin America and supports colleagues on forestry transactions worldwide. Before moving to the equity and mezzanine team in 2012, Tobias has been part of DEG’s Agribusiness and Forestry team with focus on forestry plantation and wood processing projects since 2006. Tobias is based in DEG’s head quarter in Cologne, Germany. As a member of the KFW Banking Group, DEG provides long term capital to private companies in emerging economies. DEG’s objective is to generate a positive development impact through its investments while generating a risk-adjusted, sustainable return on its invested capital. 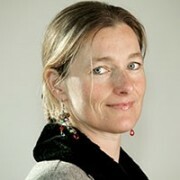 Tineke Lambooy is Professor of Corporate Law at Nyenrode Business Universiteit. Tineke conducts multidisciplinary research projects which focus on enhancing sustainability standards by private actors (corporate social responsibility, CSR). A special focus area is designing and conducting research projects concerning biodiversity and ecosystem preservation and the role of business in that context. Interest areas: capital markets and biodiversity; business and biodiversity; legality of timber; recycling of timber; best corporate practices on water use; corporate governance models; integrated reporting; enhancing and measuring non-financial corporate achievements; multi-stakeholder processes; partnerships for sustainable development; dispute resolution regarding CSR conflicts between stakeholders; social entrepreneurship. Dr. Victor Kwame Agyeman is the Director –General of the Council for Scientific and Industrial research (CSIR). He participates in a number of expert panels relating to sustainable forest management. Prior to his appointment as director, he was a research scientist and coordinated various plantation development programs. He advised renowned organisations worldwide like the World Bank, CIFOR, FAO and ITTO. Dr. Agyeman has a PhD in Tropical Forest Ecology and a Degree in Law (LLB) with publications in diverse national and international journals. On-going research includes natural resource ecology, policy, legislation, governance and management. Mr Willem Fourie is the MD of the Form Ghana Ltd, a reforestation Company in Ghana. He has more than 20 years experience in the African Plantation industry and has been responsible for the development of Form Ghana Ltd since 2009. His focus is not only on the development of the plantations but also the people, as people will ensure sustainability of new forests in Africa.